As Valentine's Day approaches, it’s time to start thinking about your date night prep – and more specifically, buffing your lips to pouting perfection! Before applying that perfect lipstick color, don’t forget to hydrate, nourish and treat those lips with Nyakio Kenyan Coffee Lip Polish and Baobab Lip Balm. Kenyan Coffee Lip Polish: Kenyan Coffee Lip Polish is derived from finely crushed fresh, antioxidant-rich beans, this gentle exfoliant will leave lips feeling soft and smooth. The lip polish has no scent to it whatsoever, the coffee grinds are tiny, and the best way I can describe the way it feels on the lips or on the skin is the same texture as little sand on the beach. It is not at all irritating on the skin, and it is tiny enough to exfoliate your lips. It is easy to use, apply a small amount to the fingertips and massage onto the lips. Rinse off with warm water or wipe off with a tissue for extra moisture. Baobab Lip Balm: Baobab Oil, filled with high levels of Vitamin A and E and Omegas 3, 6 and 9, melts instantly to reveal fresh, kissable lips. How Does Lip Balm Protect Your Lips? Lip balm creates a protective barrier that prevents the skin moisture from escaping your lips. 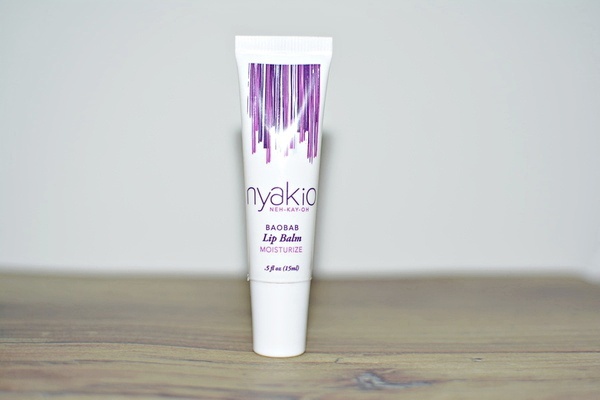 Nyakio lip balm applies smoothly on the lips, it does not feather, and it is easy to use with your favorite lipstick. Your lip stays moisturized for a long time. 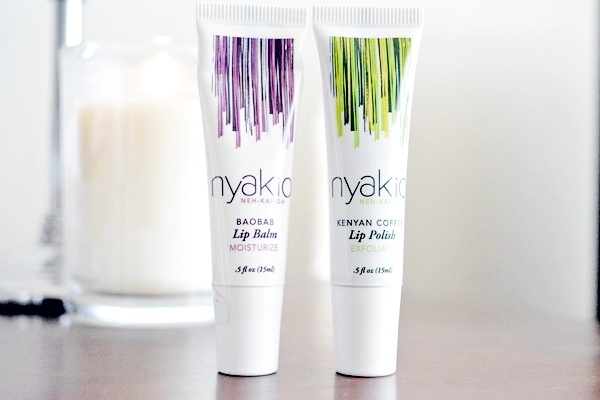 Nyakio™, Lip polish and lip balm is sourced from natural ingredients from around the world. Formulated without sulfates, phthalates, parabens, mineral oil, petrolatum, formaldehyde, and butylene glycol, the Kenyan Coffee Lip Polish and Baobab Lip Balm intensely moisturize and rejuvenate dull lips and reduces feathering of applied lipstick. **This post is in collaboration with Nyakio.